It's official: Spidey is no longer a singularly Sony entity. Spider-Man is joining the Marvel universe, and this means huge things for your favorite superheroes. 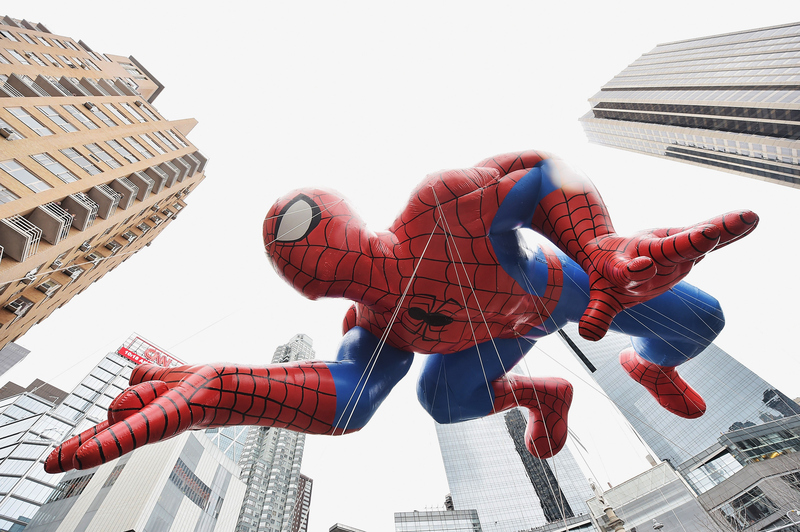 Sony Pictures and Marvel announced they were teaming up to bring Spider-Man into the Marvel Cinematic Universe (MCU for all you Marvelheads) late Monday night. The first Sony/Marvel film featuring Spidey is still unnamed, but we know he'll appear along side other well-known Marvel characters. His second appearance under the new partnership will come in the form of his own film. The big news here are the producers on board. Marvel Studios chief Kevin Feige and Amy Pascal are signed on to the project, said to be released on July 28, 2017. This announcement comes after the disappointing news that Pascal had stepped down from her role as co-chair of Sony Pictures. With one of the most powerful women in Hollywood stepping down, we were initially upset by the news. But now, with Pascal producing Spidey, things are looking up for the mighty women in Hollywood — at least for one. A source confirmed to BuzzFeed that Andrew Garfield will not be on board for the coming films, and a new actor will take his place. My goodness Marvel, you sure know how to keep us on our toes.